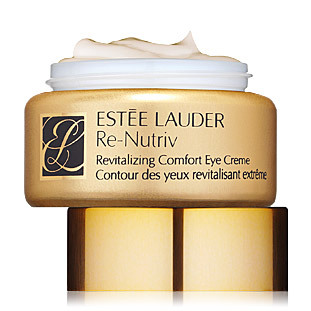 Those first fine lines around your eyes will become a bad memory if you try using Re-Nutriv Revitalizing Comfort Eye Cream by Estee Lauder. It`s so gentle that it literally melts into your skin, while bringing rich emollients to instantly brighten the eye area and to restore its natural radiance. It contains Reishi Mushroom, Ginseng extract and Wofberry that help reduce visible signs of aging. Compare eye creams.